Storytellers who have found new ways to engage B2B audiences with different formats and approaches across channels and screens. 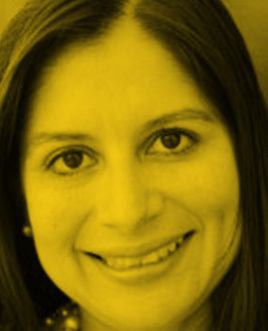 Ana Villegas is smart, curious and driven to innovation. She is constantly challenging herself and her team to uncover new ways to engage prospective customers. Villegas understands the detailed nuisances of data, programmatic advertising, branded content and more, while maintaining a holistic view of the bigger picture. 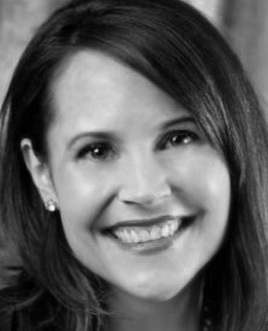 She is a true brand advocate and industry-leader when it comes to B2B marketing. Innovation is so core to the marketing team at Dell EMC that they actually hold their own innovation conferences and an innovation contest. One of the executives leading the charge is Villegas, who has helped to launch more than 100 tests in the last few years across multiple demand gen channels. And the results of those tests have been quite impressive and impactful. “We have seen +30% of these tests be extremely successful, and have enabled to improve our marketing efficiency and reduce our costs by +10x,” Villegas shared. With an intense focus on customizing the customer experience, Villegas and her team have concentrated on initiatives around omnichannel campaigns and presenting “the right content at the right time in the right location and to the right customer.” By enabling the customer to “choose their own journey,” Villegas and her team have driven 13x improvement in number of engagements with 4x lower cost. Can you highlight any recent campaigns or initiatives you are most proud of? We partnered with Facebook to figure out how to leverage their audiences and algorithms to be able to predict when a customer is ready for a lead form. This is the first time an approach like this has been done with Facebook on the B2B front. Results are strong, leads are being generated and the engine is allowing us to learn from customers’ engagement and figure out when is the best time to show them our content while allowing them to pick the next chapter in their story. We also recently worked with The Washington Post on a nurture program. We came to them with the following challenge: how do we build an end-to-end program within your environment? I know that +70% of customers are not interested in going to dell.com pages until they are ready to buy, which can be too late because it’s past decision time, so how do we enable a conversation outside of our walls? We’ve seen strong early results: produced 2x the engagements than we have seen in the past with other programs. Can you share any details about how your team, or individuals on your team have helped drive innovation and achieve results? Innovation is part of my team’s DNA, it’s in their performance plan and I encourage them to think beyond the box, to bring ideas to test. You need to take risks to make an impact! Every quarter we present the innovation roadmap (results and what’s coming) to our senior leadership, which allows my team to get visibility and drive new ideas. Do you feel like B2B marketing needs to shake things up a bit to avoid being boring, and how have you tried to address this? Yes, and we always look at the experience for the customer. A great example is the innovation on banners into rich media units. How do I provide better content to the customer and make it easier to interact with it? Another great example is our retargeting efforts — how I make sure I am showing the customer the next chapter in the story vs. showing him the same content. With nearly 15 years of B2B marketing experience, Barb Reitz is very familiar with complex sales cycles and the battle for prospects’ attention in a competitive climate. Reitz and her team have clearly found the formula for success in terms of pipeline and industry accolades. During her tenure at vAuto, the company has won seven BMA Tower Awards and four BMA B2 Awards of Excellence, and has been a BMA B2 Category Winner for marketing and advertising campaigns. A few keys for Reitz and her team’s success is its keen focus on the needs and pain points of their audience, and a close alignment with their sales team. After the company’s sales team adopted the Challenger methodology, developed by CEB, Reitz identified the opportunity to extend the value of Challenger choreography from sales into marketing. Reitz and the vAuto team have launched several content campaigns based on the Challenger methodology: videos about specific business challenges and corresponding commercial insights, print ads that feature hypothetical software users sharing emotionally resonant success stories, and more. The vAuto website has been redesigned accordingly, with paths for different personas to connect with common pain points and guide themselves to the relevant software solution. Utilizing the Marketo platform, vAuto has set up email journeys, which assist website visitors along their paths with strategically timed delivery of relevant content assets. Have any solution providers or partners helped you drive innovation? We work with two supportive and dependable marketing agencies: The Mx Group and FARM. Our allies at The Mx Group are really an extension of our marketing team. FARM has aided in our desire for more research for our company and has helped us shape our strategy based on the findings. Their work produces the basis for how we frame our messaging to potential prospects by understanding their thinking and how they view the marketplace. Additionally, our team at Cox Automotive is pivotal in helping us push our marketing technologies to the next level. The Cox team transformed our tradeshow lead process, taking it from a manual lead-scanning routine to an integrated system between the trade show software and our CRM. Their innovations have allowed us to automate the process and quickly follow up with leads. What other new initiatives do you have planned? Analytics and reporting are becoming even bigger focuses as we move forward. We keep finding new ways to use data to obtain MQLs, closing the loop for marketing efforts that truly impact sales. Another exciting challenge for my future is taking the CEB 57% mentality and applying it to a new audience: independent dealers who aren’t nearly as tech-savvy as franchise dealers. We need to reinvent our approach for this new audience, while continuing to focus on understanding their pain points and utilizing the CEB methodology to change the way they think. As Eaton’s Marketing Campaign Manager, Christine Woodhouse manages brand awareness and familiarity advertising campaigns and promotions, social marketing, tradeshows and content strategy to promote products and services to end users and fill the top of the sales funnel for Eaton’s Power Quality business. A coffee lover, Woodhouse does her best work in 15-minute sprints. Standing out and driving engagement in the highly commoditized power management industry was not an easy task for the marketing team at Eaton. Rather than taking a traditional approach, Christine Woodhouse and her team decided to shake things up a bit. The marketing team launched the “Desk Toy Decision” campaign — inspired by the recent election and part of Eaton’s overarching “Things Have Changed” initiative — with the core goals of building brand familiarity and delivering qualified contacts that have the potential of converting to sales. To engage in the program, participants would visit “candidate” platform pages and engage via videos, issue pages, supporters (other desk toys), online Q&As, downloadable campaign materials and social sharing buttons. By using behaviorally-driven campaigns built in Oracle Eloqua, including email campaigns and ads, Eaton created a series of personalized messages for players already engaged in the campaign, as well as for those who had skipped out on the initial invitation. Additionally, these sequenced messages were accompanied by similar messages via paid Facebook and LinkedIn ads that were email-match targeted or retargeted. There were more than 23,500 total votes throughout the campaign and more than 7,500 participants engaged (including 4,600 net new participants), the highest amount in the history of Eaton’s previous familiarity promotions. The campaign fulfilled the lead generation goals, with over $2.4 million generated in pipeline opportunity. The campaign generated more than 48,000 total site visits, which is a 76% increase in page views to almost 150,000. Can you share any particular achievements you are most proud? Through our promotions and lead generation activities, we have been able to develop a true Demand Waterfall to enable us to measure the success of our activities and guide future investment decisions. We’re currently seeing 13% of the leads we drive turn into sales accepted leads, resulting in a 40% win rate. In 2016, we drove $12 million in influenced pipeline derived from a $3 million investment. Can you share any details about how your team has helped drive innovation? Over the past four years we have driven over $80K net-new contacts into our funnel, and created multiple award-winning familiarity campaigns and nurture programs. We’ve taken a basic blog and reimagined it into a content hub that addresses key business challenges of our end-users and leads them through a dynamic lead nurture program aligned to their buyer’s journey. We have recognized that content creation is our number one ROI and we can turn $1.00 into a 16x return. 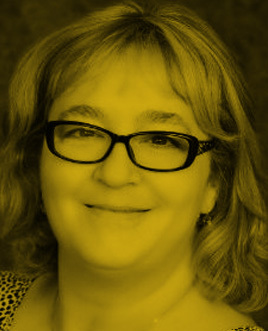 Paula Puess has deep expertise in designing agile and cost-effective marketing strategies that drive sales growth in a rapidly changing landscape. She is experienced in marketing planning and operations, and has more than 20 years of expertise in all things leadership, IT and manufacturing. In a journey familiar to many marketers, Puess set out on a path to redo and update their website. However, her “small but mighty team” ended up revamping their entire content and buyer engagement strategy. Running targeted account-based marketing campaigns in industries such as metals manufacturing, Rockwell Automation traditionally could spend more than six months and upwards of $100,000 to get a program launched. Then, after all of that time and effort, the company would often find a campaign had gone live, and buyers had moved on in terms of their pain points and areas of interest. To address these challenges, the company’s Information Solutions marketing team implemented LookBookHQ’s content platform. They created theme-based “content packs,” which include a variety of assets such as video, E-books, case studies, webinars that can be targeted broadly or down to the account-based level. 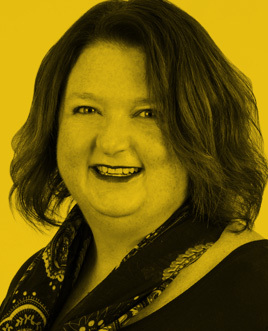 Moving away from traditional nurture strategies, Puess and her team created an integrated content approach across web, social and account-based programs, redirecting spend from traditional channels into a new content distribution model. Rather than putting all content behind gated forms, Rockwell Automation used the LookBookHQ platform to place forms throughout the packs. Also, instead of sending content only via email drip campaigns, the company switched to distribute assets across web, social and newsletters. A 50% increase in conversion rates. In the first nine months, Rockwell has seen $13 million in leads and $2.9 million in closed orders across North America. Due to the massive success in North America, they’ve now decided to roll out similar nurture programs to accounts in Australia, China and India. Why do think innovation is important in today’s B2B marketing landscape? Innovation is important because the buyer styles in B2B are changing. Consumer experiences are driving how B2B buyers expect their information to be served up to them. This raises the bar on content quality, content trust and content delivery. If email is dead and if telemarking is dead, how do you reach the buyer? We need to be continuously innovate our approach. What new initiatives do you have planned for the future? We are rapidly adopting new and exciting technologies that help create a wide variety of content — including video, interactive, technical and overview content. We are providing more and more self-serve content — lowering the sales touchpoints and bringing us closer to the customer. So when marketing is involved in “closing the order,” we can see how important our role is in driving revenue!